You are here: Start / Sustainability / What is sustainable development? In broad terms, sustainable development is a process that aims for human well-being and economic development, whilst ensuring that ecological systems are in balance. To be successfully achieve this necessary and challenging change, it is vitally important for everyone to take responsibility and do what is possible from their perspective. Sustainable development is commonly described as finding a balance between ecology, the economy and society – three interdependent areas in a complex system. Yet it is important to remember that neither society nor the economy would exist without diverse ecology. As a designer, there are significant possibilities to influence development but it always helps if the work of designers is done in partnership with governments, businesses and consumers. When entities in different areas of expertise and responsibility communicate effectively with each other, shared knowledge can often lead to greater understanding. Designers do not need to become experts in environmental and social issues to make a difference. A basic awareness and understanding of these areas, however, increases their ability to do the right thing from the beginning. Pertains to social, fair and beneficial business practices towards labour, stakeholders and the community and region in which a company conducts its business. Within the design process, the needs, key activities, environments, interactions and aim of users, network partners and stakeholders are considered. “Planet” refers to sustainable environmental practices. The business endeavours to benefit the nature as much as possible or at the least do no harm and minimise environmental impact. 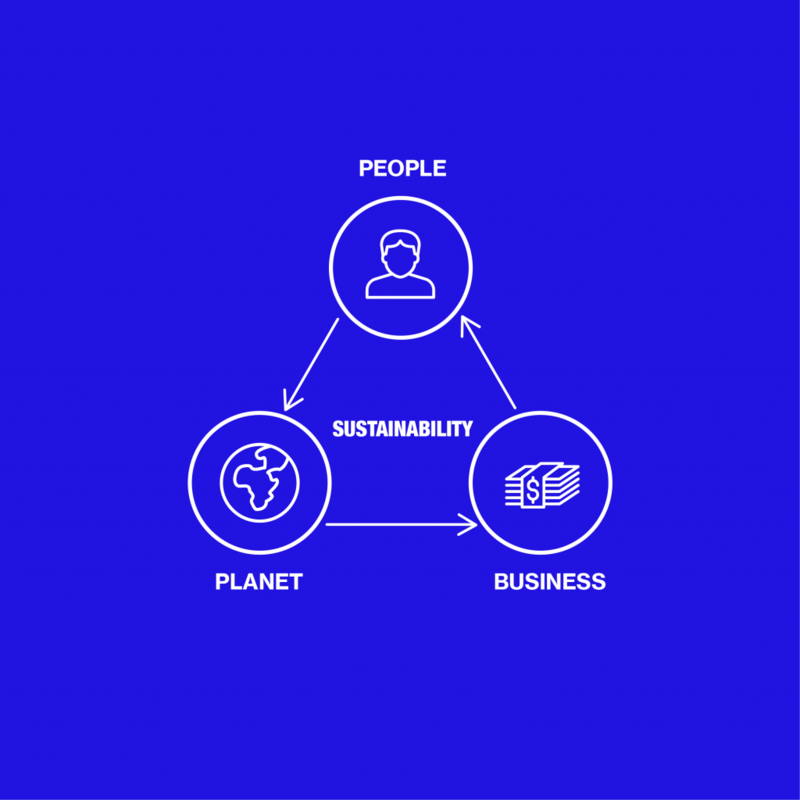 The “Planet” principle supports the design of an environmentally friendly solution, integrating a lifecycle approach and aiming to minimise the environmental impact of the business. Profit is the economic value created by the organisation for the host community. 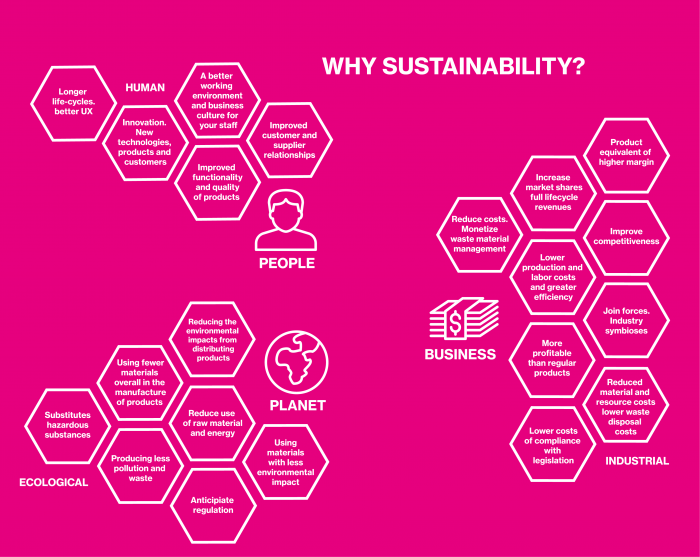 The business (model) takes into account social, economic and environmental costs and benefits. Text source: SEOS- Ideation cards for positive impact. A methodological approach to user-centered sustainable design. Planetary Boundaries - Within which environmental limits can future generations safely operate?